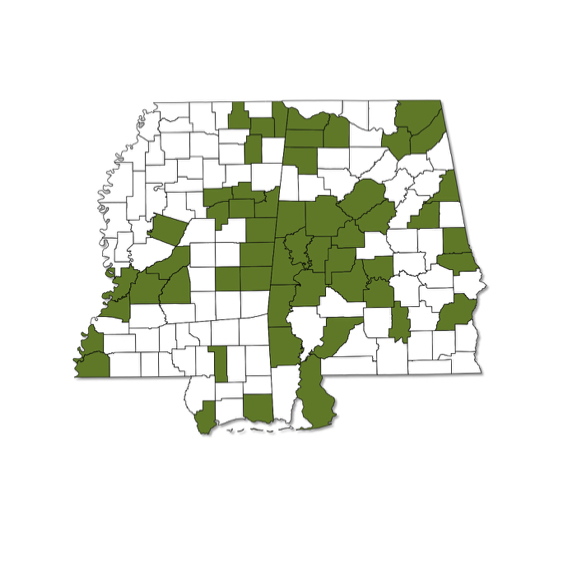 Common and widespread throughout both Alabama and Mississippi. Usually plain brown, but sometimes with a faint spotband on lower surface of hindwing. Individuals often have a gold head. Forewing of females has two or more white spots on upper surface and leading edge orange in color. Upper surface of wings of males is unmarked dark brown.